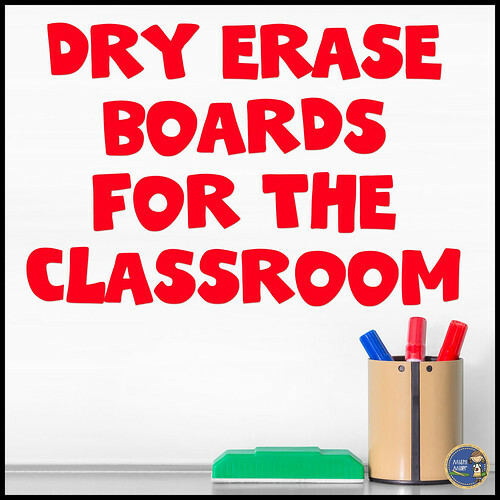 Dry erase boards should be a staple in every classroom. They are great for practicing a skill or doing a quick informal assessment. Most teachers would love to have classroom sets of dry erase boards, but they can be quite pricey. Here are some alternatives to buying expensive dry erase boards. 1) Check your desktops. 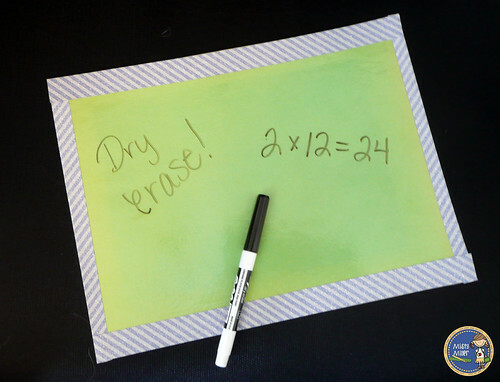 You are able to use dry erase markers on some desk or table surfaces. This is definitely the cheapest way to go. 2) Laminate pieces of card stock, construction paper, or file folders. You can also use duck tape to go around the edges if you want to spiff them up a bit. If your students use a binder for your class, these can be hole punched for easy storage or stack in a paper tray when not in use. 3) Stick a piece of card stock into a smooth plastic sheet protector. 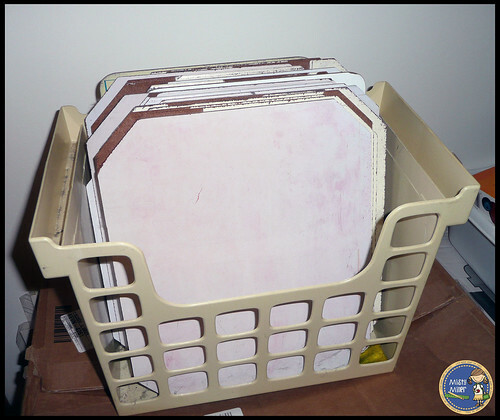 These are great for storing in a student's binder. 4) Shower board (Thrifty White Panel Board) from your local home improvement store has a dry erase surface. Be sure to get the smooth finish. Most stores will even cut it to size for you. You can also use duck tape to go around the edges if you want to spiff them up a bit. These can be stored in file folder hanging boxes or crates. You also need to be able to erase what you wrote. Here are some ideas for erasers. 1) Use an old sock. The sock can be used as an eraser and storage for the marker. 2) Facial scrubbers. My local dollar store sells facial scrubbers and they work great as erasers. 3) Felt squares. Some felt pieces work great for erasing. Choose pieces of felt that are soft. 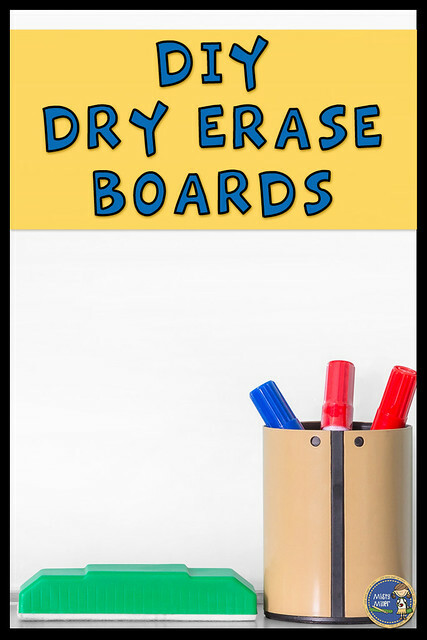 Hope you found some ideas for some DIY dry erase boards. Thanks for the great ideas Misty!